This beautiful hand painted white porcelain scalloped square Christmas plate is perfect for your holiday table. It can be a great Christmas serving dish or a festive holiday dessert plate. 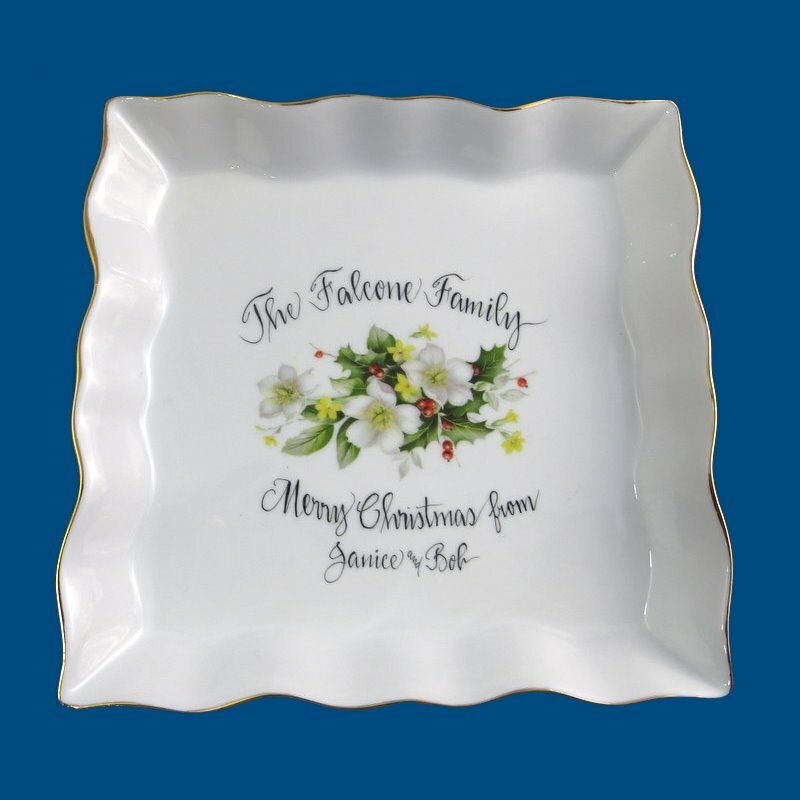 Bev decorates the Christmas dish with a beautiful poinsettia design along with the family name and a short personal message on the front of the plate or on the back of the plate. The plate is trimmed in 18k gold. A gift box with tulle ribbon along with an enclosure card is complimentary with your purchase.